Continue reading"The Fed’s Monetization Madness: A Word of Warning"
Mr. Rawles I’ve found the discussion of alcohol power and stills very interesting. Building a still has been something on my list of things to do, but I never seem to get around to making it happen. Here’s a link to [a PDF of] the [still building] plans I’d like to follow. The plans are concise, relatively simple and, best of all, free. I think the web site says you can build one of these for about $65, less if you have access to an inexpensive stainless steel milk can.- Tim R.
Continue reading"Letter Re: Build-it-Yourself Reflux Alcohol Still Plans Available Online"
Hi Mr. Rawles, I found this online auto parts store is going out of business. They are selling some parts for a dollar per pound and other parts for 10% of the original cost. 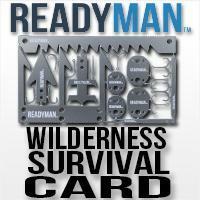 This is a good place to buy the extra parts one might need for their Bug Out Vehicle, at a steep discount. – Regards, Sam M.
Continue reading"Letter Re: A Vehicle Parts Vendor Going Out of Business"